Written by jake on October 17, 2018 . Posted in Blog, Information Articles. We know that your home’s ducts may not be the most glamorous or fascinating topic you want to talk about, but ductwork is more important than you may realize when it comes to the climate within your home.You probably don’t think about them it too often, but if they get neglected, they can significantly affect your HVAC system. After all, your air conditioning unit is only as good as the ductwork it uses to distribute the cooled air.Here’s a couple of issues that are more common than you may think and the problems that come with them! Your duct work can be affected by numerous problems, but one of the most common ones is the design of your ductwork itself.The design or the installation can both create problems that make it difficult for your HVAC system to maintain the desired temperature in your home, due to lack of airflow in the system. 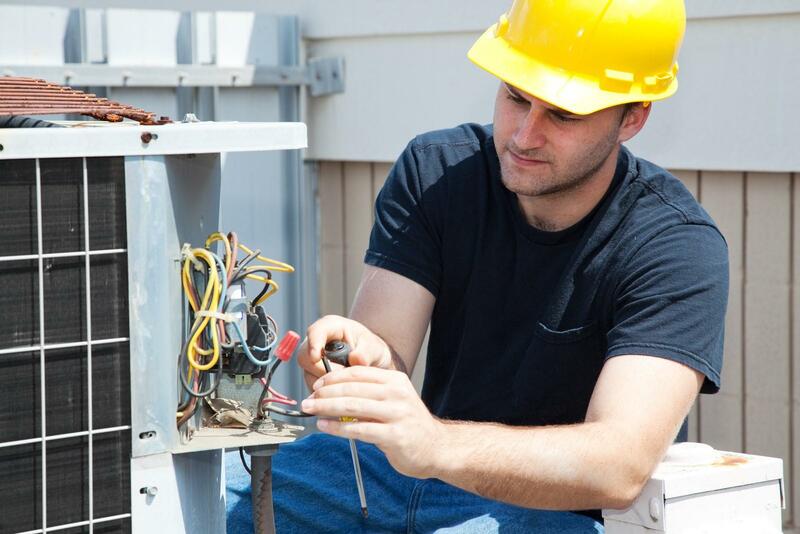 This can lead to ineffective and inefficient performance from your HVAC system. Ductwork leakage is normal, but overtime the amount of circulated air that is leaked before reaching its intended destination increases.When more air flow comes out through leaks, the less efficient your ductwork is which affects your bill. To rectify this issue, have your ducts sealed which allows your HVAC system to do less work and save you more money. The rooms throughout your home are connected to the ducts by registers and grilles. These are the grates on the floor, walls, and ceilings where the air comes out.Loose registers and grilles can cause air leakage behind the walls of floors, causing energy inefficiencies in your system.A couple of loose registers may not make that much of a difference, but multiple loose registers can begin to create issues. If you haven’t replaced your registers or grilles, especially in older homes, you may want to check them. This is especially important for registers and grilles on the floor in high traffic areas in your home that have a higher chance of being bumped by chairs or moving guests. The EPA estimates that the air quality inside your home can often be much worse that the air outside your house.When your ductwork is dirty, it makes it difficult for your HVAC to do its job and improve your air quality. Keeping your ductwork clean is crucial for healthy air quality as dirt, allergens, and other pollutants accumulate in your ductwork. Leaks aren’t the only culprit of inefficiency within your ductwork system. Ductwork without proper insulation can’t effectively regulate the high temperatures of summer and the low temperatures of winter.Without proper insulation your ductwork system will have to work harder to regulate the temperatures inside your home which will cost you more money. If you aren’t sure about your duct system, a good way to approach it is by symptoms. If your system is running inefficiently or your air quality is poor, reach out to an HVAC professional to take a look at your ductwork.If you have any more questions, we would be more than happy to help address any questions or concerns you may have! Written by jake on September 17, 2018 . Posted in Blog, Information Articles. Unfortunately, if the issue isn’t addressed, it can become even worse than physical discomfort. It can lead to your entire A/C unit needing to be replaced. To help you fix your airflow issue as well as avoid future damages, here’s 5 things you can check on your system. What Are SEER Ratings and Why Are They Important? Written by jake on August 13, 2018 . Posted in Blog, Information Articles. SEER Ratings (Season Energy Efficiency Ratio) are the primary standard of measuring how energy efficient your cooling system is. The ratio is calculated by dividing the cooling output (measured in BTU’s or British Thermal Units) by the total electric energy input (measured in watts) during the same timeframe.SEER Ratings are measured on a spectrum with the government now requiring a minimum SEER rating of 13-14. In the state of Florida, the minimum SEER rating is 14 due to the hotter temperatures. While many things can affect your overall energy efficiency in your home, the SEER rating is a stand-alone score attributed to your air conditioning unit or heat pump. Written by Westbrook on July 10, 2018 . Posted in Blog. You may have heard of HVAC tune-ups, but you may have always written them off as just one more way you could spend money on your A/C system. How effective are they anyway? If you have doubts about the benefits of an HVAC tune-up, let us tell you why you may want to reconsider.We find that most people don’t think they need a tune up because they aren’t familiar with all the different needs their system has. Most people, if they can remember, change the air filter every few months and call it a day. Realistically, an HVAC system needs more attention than that to run well and to run for a long time.Compare your HVAC system to your car for example. Oil changes, tire rotation, and fluid replacement are all necessary tweaks that are needed to be checked and fixed on a regular basis in order to keep your car running at its best and increase its lifespan! An HVAC system is similar, you need to check all different areas in order to ensure that everything is running properly! Doing this will allow you to hold on to the system for a longer period of time, and get more out of it as well!Just in case you don’t work on HVAC systems for a living, we’ve put together this simple list of reasons you might want to think about a tune-up to keep your system running well. You may have heard it said that $1 of prevention is worth $10 of solution. One of the most important reasons we recommend our Comfort Assurance Club (our regular maintenance plan) is that a little bit of money for a check up can help prevent much more severe – and expensive – damages to your system.Our expert technicians know all of the little hoses, wires, and other confusing parts of your system and how they work. By checking up on them every 6-12 months, they can help make sure your system avoids more costly repairs that would otherwise occur without warning. If you’re curious, see what our techs will inspect and improve every time they perform routine maintenance! Over time, your HVAC system will begin to lose some of its initial strength and efficiency. The result is that your system will be less effective in actually reaching your desired temperature. It will take longer, leaving you uncomfortable for what can feel like forever. Especially with the heat of summer coming, you want your HVAC system to be ready to go, not struggling to wake up like a perpetual Monday morning.During regular maintenance, our techs make sure that your system is running as efficiently as possible. If they find any parts of your setup that are not running efficiently, they can make sure they are restored to maximum strength, helping you get the most out of your system for years to come. A big reason some people don’t get regular maintenance done is the up-front cost to have a professional come take a look. We understand that. But what most people miss is that in these check-ups, our techs don’t just look for broken parts. They also work to make your system run as efficiently as possible.We mentioned above that your HVAC unit will lose some of the strength and efficiency over time. The harder your HVAC has to work to reach your desired temperature, the more energy it will consume. Thankfully, our techs know just what to do to keep your unit running strong without running up a painful monthly energy bill. Over time, you will actually be SAVING money by having one of our techs look at your unit periodically to keep it as energy efficient as possible. If you want a car to last to 100,000 miles, you don’t neglect regular check-ups, right? Eventually, your unit will need to be replaced, but that day doesn’t have to be soon! For a combination of the reasons above, your HVAC system needs regular check-ups to reach its 10-15 year potential. Similar to reason #3, if you want to save money in the long run by extending your unit’s lifespan, regular maintenance is an absolute must! 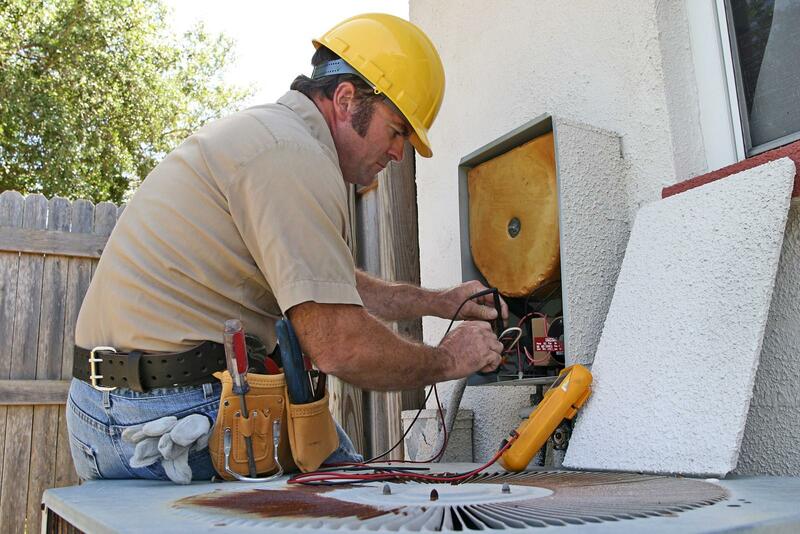 For Orlando, Westbrook Service Co is the most trusted and dependable HVAC name in town. Our decades of experience and commitment to excellence provide our customers with the best service, products, and workmanship available. If you’re interested in having your HVAC unit primed for all these benefits, take a look at our Comfort Assurance Club (our regular maintenance plan) to see how you can save money and live more comfortably. Written by Westbrook on June 26, 2018 . Posted in Blog. How Do I Lower My Summer Energy Bill? If you’re one of the many who breaks into a cold sweat when you see your energy bill (well, maybe not that bad…), don’t worry! We have a few energy-efficient tips sure to save you some money during Orlando’s heavy summer heat. Take a look at some of our tips here, and see that dreaded energy bill start growing smaller and smaller! When trying to lower your energy bill this summer, it may be worth allowing your home to be a few degrees warmer than you may initially prefer. It may seem obvious to some that this tactic can save you money, but not everyone realizes just how much money this can save you! For example, studies show that keeping your house at 78 degrees instead of 72 degrees can save you up to 18% off your energy consumption.Maybe you’re someone who needs their cool, no matter what. For you, we recommend a programmable thermostat that can let your A/C system relax while you are away and work while you’re home. If you have a time you are routinely gone like when you go to work or school, you can set your thermostat to run more efficiently and then return the house to the desired temperature by the time you return. Christina Kielich, a spokesperson for the U.S. Department of Energy, shared that a programmable thermostat could also lower your monthly bill by up to 10%. You may have programmable thermostat, and you may even have a high-efficiency air conditioning unit. Still, this won’t keep your system running efficiently forever. If you haven’t properly cared for your system, its performance will decrease and its repair costs will increase.For starters, we recommend changing your system’s filter once a month, which depending on how bad your filter has gotten, can decrease your energy consumption by 5-10%.Another idea (for those with central air conditioning) is to go through your house and make sure your vents are all open and unblocked. Dust, furniture, and other items can clog up your circulation system, causing your system to expend more energy trying to circulate air through the blocked areas.Finally, check your outdoor unit’s surrounding area and make sure it has at least 2 feat of clearance on all sides. Plants, debris, storage, and other miscellaneous items have a way of creeping closer and closer, inhibiting sufficient airflow. Keep this area clear to help your system run efficiently. Sometimes, DIY tips aren’t enough, but you don’t want to think about repairs or replacements quite yet. That’s why we offer a tune up and safety inspection for only $79 (our limited-time special price!) designed to make your system run as efficiently as possible.These tune ups are so effective, they regularly pay for themselves in the energy savings they produce. Additionally, they can save you money and hassle in preventative maintenance. If something is about to go wrong in your system in the heat of summer, we can let you know so you don’t get stuck under Orlando’s heavy sun.If you have anymore questions, please feel free to send us a message and we will get back to you promptly! Written by Westbrook on May 15, 2018 . Posted in Blog. When it comes to our home’s systems, we all want the comfort and convenience of dependable products without the “quality” price tag. On the other hand, we don’t want appliances that constantly need repairs. It doesn’t always feel like a win-win, does it? Written by Brian King on April 12, 2018 . Posted in Blog. A quality HVAC system should last you quite a few years, but the reality is that it won’t last forever. At some point, repairs won’t be cutting it, and it’ll be time for a new system. The real question is “How do I know when?” Here’s some of the most common signs that might be telling you to replace your HVAC set up. 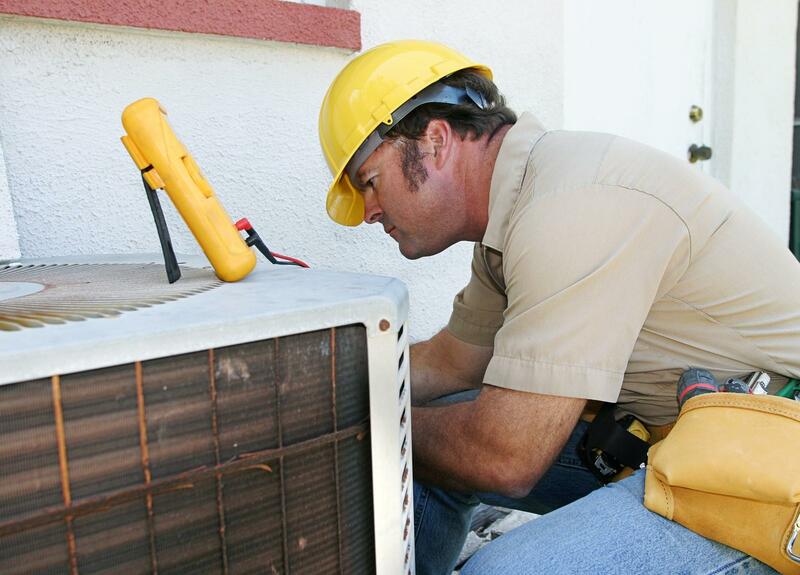 Is a Noisy AC a Sign that You Need Air Conditioning Repair in Orlando? Written by Brian King on December 2, 2015 . Posted in Blog, Information Articles. Written by Brian King on March 4, 2015 . Posted in Blog, Information Articles.